Throughout the week, Lawrence was reviewed for accreditation by a panel of peers from multiple universities. As part of the accreditation process happening at Lawrence this past week, a forum was held to discuss campus life and community concerns. The forum was open closed to faculty, staff, and administration, as a way to encourage students to speak freely. Accreditation is a process of reviewing a university, to confirm that it lives up to federal standards and is eligible for federal money. 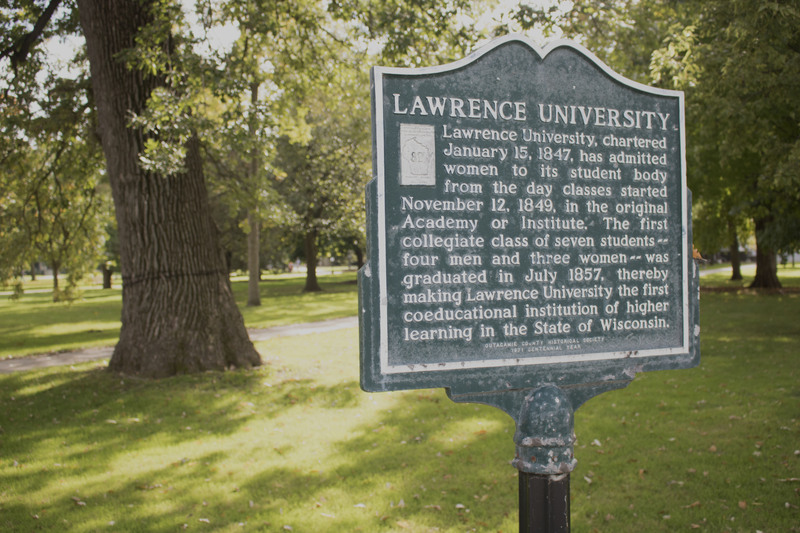 For higher education institutions like Lawrence, accreditation occurs once every ten years. Essentially, the accreditors were looking to make sure Lawrence meets five major criteria. According to the HLC’s official website, the criteria are as follows: first, that “the institution’s mission is clear and articulated publicly; it guides the institution’s operations.” Second, that “the institution acts with integrity; its conduct is ethical and responsible”. Third, that “the institution provides high quality education, wherever and however its offerings are delivered. Fourth, that “the institution demonstrates responsibility for the quality of its educational programs. And fifth, that “the institution’s resources, structures, and processes are sufficient to fulfill its mission”; “the institution plans for the future”. The forum was led by two “peer reviewers” – Laura Struve and Mike Knedler – from a group of five that arrived on campus this Monday and stayed through the day and into Tuesday. These peers came from other universities in a 19-state region that includes Lawrence. 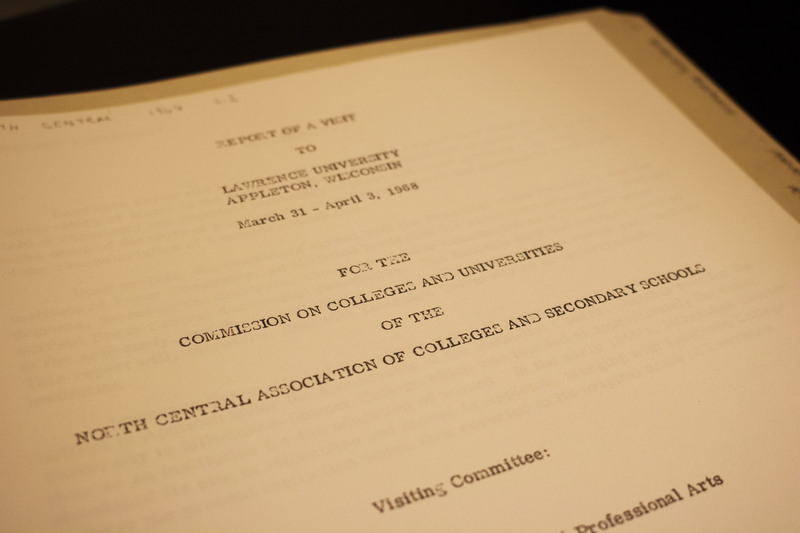 After they divided up the work, the reviewers’ schedules involved meetings with President Mark Burstein and his cabinet, going over a host of important documents, forums on specific topics, and more. These duties included two open forums. One was on Diversity and Campus Climate, held in the Wriston Auditorium. The other was the Students-Only forum in Warch Cinema on Monday from 4:30-5:15. The peer reviewers began by asking students why they chose Lawrence for their college. This was met with a range of answers, including financial aid, the liberal arts education, and Lawrence’s ranking as one of the country’s “colleges that change lives”. While the purpose on the forum was not specifically to discuss campus climate and diversity, the conversation quickly strayed into that area. Citing last year’s student survey, Laura Struve mentioned that a number of students reported that they didn’t feel free to share their opinions, and that the campus was significantly biased towards left-wing ideology. This was in reference to tensions over the last few years about several iterations of conservative student organizations that attempted to gain recognition from Lawrence University Community Council (LUCC). These tensions stem, in part, from a notorious event that took place a year and a half ago, when the conservative group Students For Free Thought aired a controversial documentary in the same Warch Cinema. Some students in attendance at the forum thought there could be more room for conservative voices on campus. Others argued that the narrative of Lawrence as a hyper-liberal school obscures the fact that many positions of these groups were seen as not just being conservative, but ultimately hateful. Still others lamented what they saw as a lack of administrative guidance in helping to forge a path of creating more ideological diversity on campus that is, at the same time, more considerate of the community. Other topics of conversation included access to faculty, and further diversity in that area. According to some, while the student body is somewhat diverse in terms of culture, ethnicity, and orientation, the faculty does not seem to reflect that yet. Another frustration was in the “failure” of the institution to promptly and adequately address sexual assault charges on campus. Many other areas were discussed as well. Finally, Struve and Knedler asked the students what part of the Lawrence experience they were most proud of. Many students noted the ability to do so many different things during their four years here, academic flexibility, and the quality of education over all. According to Struve and Knedler, everything that the students told the peer reviewers would end up – anonymously – in the final report, which is scheduled to be finished around Thanksgiving. This report will feature findings on where Lawrence stands and what the administration needs to work on for the future. A follow up meeting will take place in four years, to make sure that Lawrence has taken the constructive criticism to heart.